When it comes to boat shows, the bigger, the better. The Tampa Boat Show – the biggest one in the Tampa Bay area, which runs this year from September 7-9 at the Tampa Convention Center. With hundreds of boats ranging all up to 80 feet together in the same fun footprint. Where you can conveniently compare and contrast them to your heart’s content. Most of the boats are located inside the Convention Center. Dozens more will be right outside at the docks where you can see them in their natural element – the water. 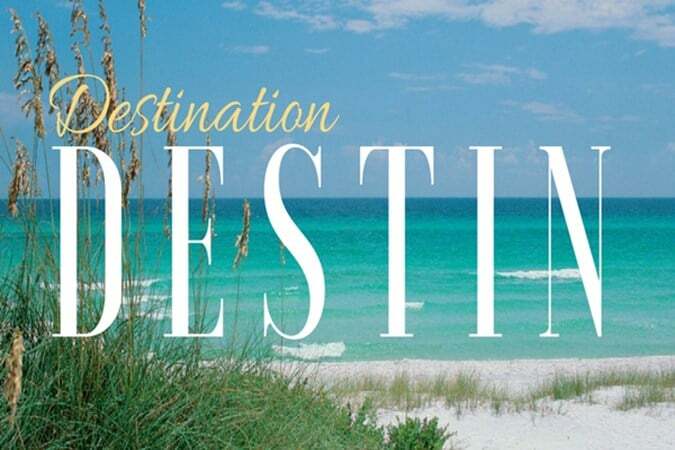 This show is also a one-stop-shop for all the boating gear and accessories you need to make your next boating adventures easier, safer and more enjoyable. What’s more, many of the exhibitors at the Tampa Boat Show will offer “boat show specials”. Everything from boats and engines to dock lines and boat soap. This is in order to incentivize you to buy while you’re at the show. This gives you the chance to take advantage of some of the best prices of the year. But even if you aren’t in the market for a boat or accessories, think of the Tampa Boat Show as a three-day family fun destination in itself. There’s a Kid’s Zone inside the Convention Center where young showgoers can burn off some energy in the bounce house, get their faces painted or watch a balloon animal master at work. Adults can enjoy the Boater’s Yacht Club Lounge. A cool lounge with live island music, tropical drinks and free Wi-Fi overlooking the in-water part of the show. BoatU.S. Hands-On Boating Courses: Showgoers with any level of boating experience can sign up for boating courses led by BoatU.S. experts and captains who can help you hone your existing skills or teach you new ones. Progressive® Boat Club: The Annapolis School of Seamanship also is offering hands-on boating courses, as well as teaching master docking skills with remote-control model boats at the “Docking Pool”. Plus, don’t miss Progressive’s NEW Oculus Rift virtual reality experience. Where you can put yourself at the helm of a virtual race boat in the heat of the action. Fred’s Shed DIY Seminars: Think “Tool Time” for boaters These free, hands-on clinics provide useful tips for boat maintenance, repair and upgrades in a garage-like setting. Ladies, Let’s Go Fishing! : On Sunday Sept. 9, the female captains and anglers from Ladies, Let’s Go Fishing! will hold a special “no-yelling” fishing seminar for women anglers. No equipment or experience is required. A “Ladies’ Day” ticket costs $60 and includes box lunch, hands-on seminars. For more information and advance registration for these and other seminars at the show, visit www.tampaboatshow.com. 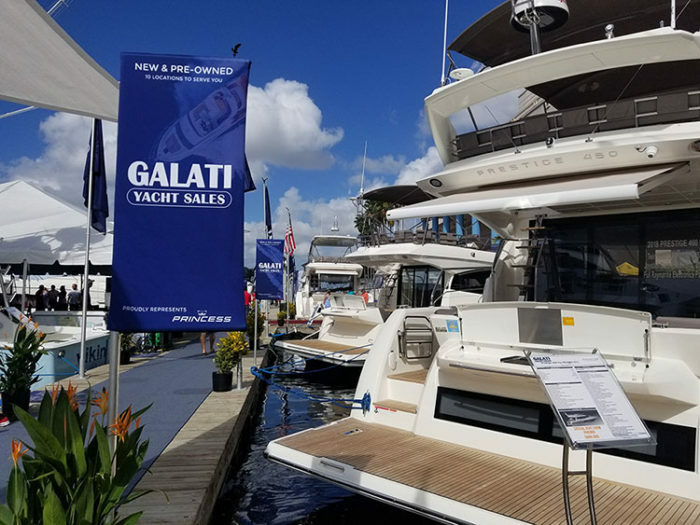 But what do we at Galati Yacht Sales love best about the Tampa Boat Show? It’s our home show! 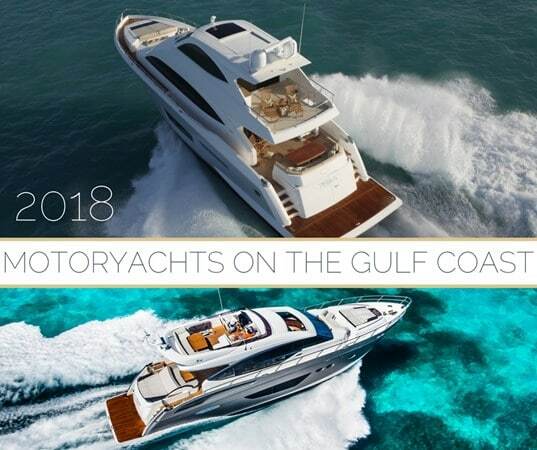 Be sure to visit us at our huge in-water display, Booths 200-212 and 306-309, where we will have the latest new models from boat manufacturers including Viking, Cruisers, Maritimo, Princess and Prestige all ready for you to tour. 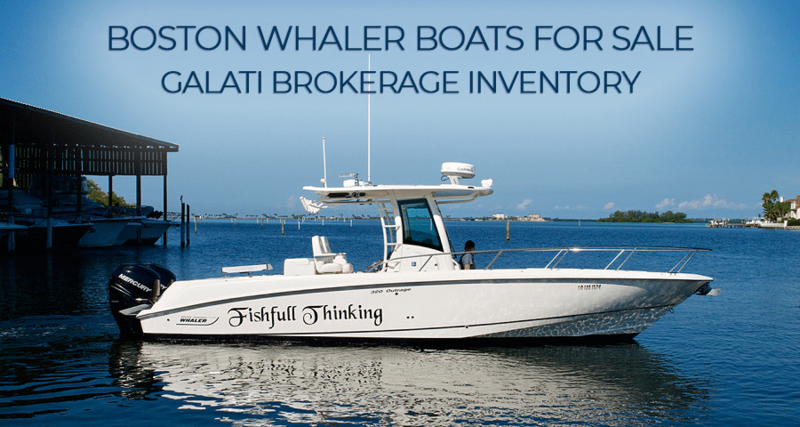 We have a wide selection of new cruiser yachts for sale and you can check back often for updates on the show at www.GalatiYachts.com. See you there!